Good oral hygiene is important for your baby from the start. Before your infant even gets his fist teeth, you can use a piece of gauze wrapped around your index finger to gently clean your baby’s gums after feedings. 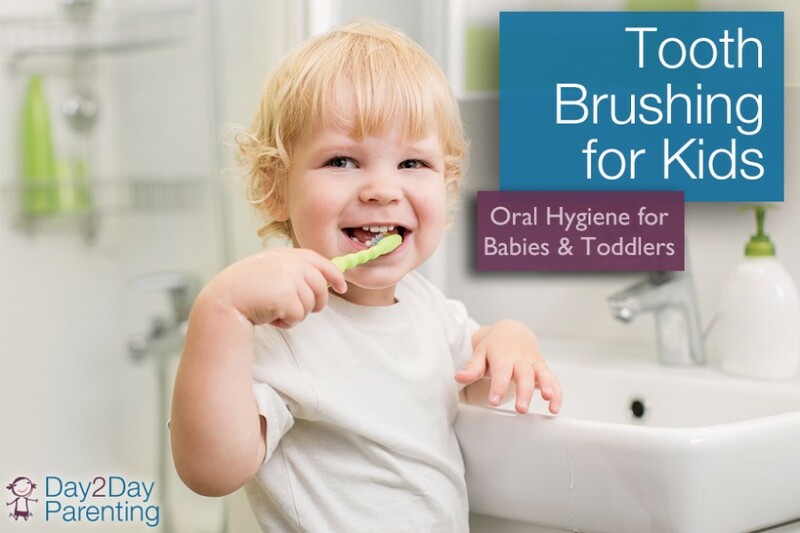 This will ready your baby for when the first teeth emerge, usually around 6 months of age (but this varies greatly from child to child), and prepare her for the transition to a soft baby tooth brush. Did you know that children don’t have the dexterity to brush and/or floss their teeth well until about 7-9 years of age? Before this age parents should assist their children with tooth brushing and flossing at least once daily and let their children brush and floss alone or with help at least one other time per day, according to pediatric dentist Dr. David M. Stewart of Little People’s Dental in Utah. Many studies cite that children should brush with a fluoride toothpaste twice a day to prevent tooth decay. Flossing teeth at least once per day helps decrease the risk of periodontal disease and tooth decay that happens between teeth. For children under six it is recommended that a parent dispense the tooth paste onto the toothbrush, using only a rice grain amount. As children get older they can use a pea sized amount. According to the American Academy of Pediatrics, children should have their first dental check-up within 6 months of their first tooth erupting or around the age of one. Early visits to the dentist make dental check-ups a routine and make children less fearful of visiting the dentist as they get older. It is recommended that young children see a pediatric dentist that has at least two additional years of training beyond dental school (according to Web MD). Pediatric dentists, unlike regular dentists who see adults, have additional training on the management and treatment of a child’s developing teeth, children’s physical growth and development, child behavior and the special needs of children’s dentistry.